I was a junior in high school when Columbine happened in 1999 and it spurred me into activism instantly. I wrote an op-ed in the Atlanta Journal-Constitution shaming the NRA and their spokesman Charlton Heston, who were holding their annual conference only an hour away from that mourning community. I organized a student protest at the GA statehouse; I went to Washington to speak to my Senators. I was berated by our local conservative radio talk shows: called ignorant, naive, and unAmerican. I was 17, a teenager like all those amazing kids in Parkland who are taking up the cause of their lost classmates and making the biggest difference in this issue I've seen in my lifetime. Nineteen years later here we are, another school shooting, but finally a freshly invigorated and seemingly unstoppable movement brewing. 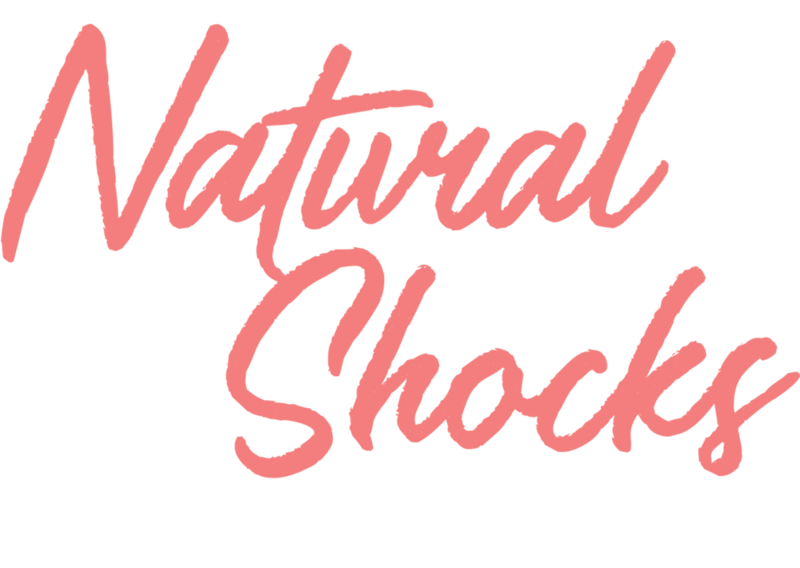 I happened to be working on a new one-woman play based a bit on Hamlet - called Natural Shocks - about a quirky, chatty woman with a dark truth she needs to share. I was just starting to send it out to trusted colleagues when the Parkland school shooting happened. And I saw how brave and tireless and convincing these kids were in saying "no more gun violence." And then I read that the most vocal of them were theatre kids. So instead of closing my eyes and thinking back to being a junior and watching the news in horror curing my AP US History class and thinking those poor mothers and please god someone do something about this... I posted a query on facebook asking for help with this play in the wake of this new violence. My friend and fellow theatre activist Christina Wallace reached out immediately, read the piece, and said "Let's do this." So now the play is yours. Whoever you are. On April 20th, read it, experience it, use it to raise money for Everytown or Mom's Demand Action. Use it to start conversations, to build networks of support, to gather people and give them some place to go to congregate and say enough. Of course, to contradict Hamlet, the play is not the thing. You are. Your community, your company, yourself. Any play is just the metal that attracts the lightning. We are the lightning - actor, artistic team, audience, community. We are the undeniable force of nature that will light up this darkness and change it forever. This is a national campaign of theater activism against gun violence. Modeled on her Inauguration Day 2017 project with her play The Taming, Lauren Gunderson is making her new play NATURAL SHOCKS available for regional and community theaters, colleges, and high schools to produce readings the weekend of April 20, 2018, the 19th anniversary of Columbine and the day of the National School Walkout. She is waving royalties for these readings and in exchange we ask that events raise money — either through an accessibly-priced ticket or donations at the door — to address gun violence. We suggest channeling those donations to organizations like Everytown for Gun Safety, Moms Demand Action, or your local domestic violence nonprofit. We are no longer accepting requests for new readings, but encourage you to find and support your nearest reading below! Lauren is a playwright, screenwriter, and author based in San Francisco. In 2018 she was named the most produced playwright in America by American Theatre magazine. Leah is a theatre agent at The Gersh Agency where she works with writers, directors, and designers, among others. Previously, she's worked with the Abrams Artists Agency, New York Theatre Workshop and the Lark Play Development Center. Corinne runs the NY office of MANAGE-MENT, an LA-based organization that integrates talent management, development, production, and financing. Corinne is a producer on this project. Christina is an entrepreneur, producer, and writer based in Brooklyn. She first worked with Lauren when they were students at Emory and is delighted to be producing this project. Based on Hamlet's "To be or not to be," Natural Shocks is a new 65-minute, one-woman tour-de-force play that bursts to life when we meet a woman waiting out an imminent tornado in her basement. She overflows with quirks, stories, and a final secret that puts the reality of guns in America in your very lap. The play is part confessional, part stand up, and part reckoning. SHE - a woman. Probably 40 years old, maybe younger, maybe older. She’s funny, she is smart, she thinks fast, she rambles, she is self-deprecating. She is feeling everything as it happens. She is trying not to lie. She is trying to survive. She can be any race, from any region, with any accent. She might wear things that would make your local audience pre-judge her (a frumpy sweatshirt with a big sports logo, or gaudy earrings, or too much eyeliner, or no makeup and camo shorts). They should come to empathize with her even if they first assume they wouldn’t. SHE: So yeah: door locked, window closed, stay away from the window, bunch of blankets down here somewhere, bottled water for sure, gun in the closet, I’m re-reading Sense and Sensibility so that’s in here in case I get bored, (bored in a tornado, Jesus), there’s a - what’s this? Oh of course: a really old copy of Field & Stream because he won’t throw anything away because we’re definitely going to need to reference an article about duck calls from 2001.